I hope you all had a lovely long Memorial weekend. It feels great to get back into the swing of things. I took Monday completely off from work to give myself a break to re-charge. I have a lot of fun content coming up and can't wait to share. 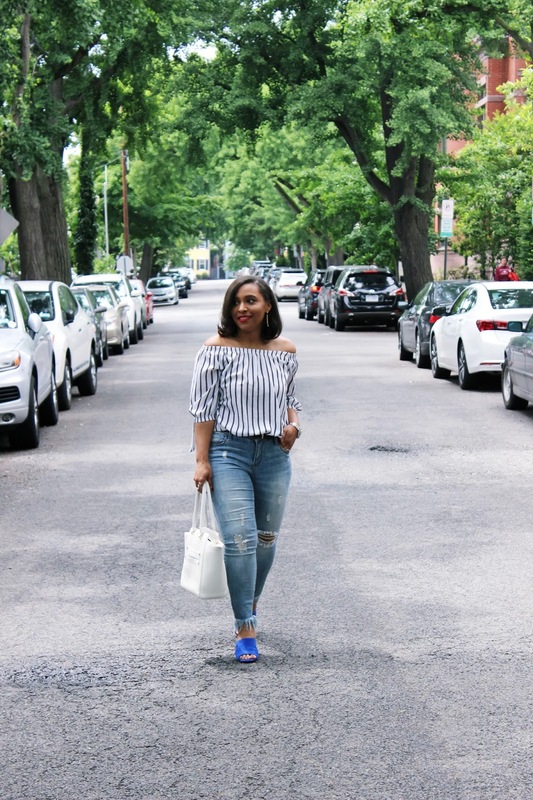 I'm kicking off the week with a style post and one of my favorite style of shoes your wardrobe will need this summer. I'm not going to lie, it took me a while to fall in love with mules. I loved the trend but every time I would try them on they would look funny on my feet to me. I felt as if the back of my foot was too fat for that style. Accidently I tried on a pair that was half a size bigger while I was at Forever 21 and it made all the difference. I guess sizing up a half a size makes a huge difference for me. My Kloset has been no stranger to mule shoes since then. They come is so many styles and prints and are very versatile. I've worn these blue ones a handful of times. I've tried it with a dress (here) and I styled them with jeans in this post. I'm definitely thinking of styling them with shorts for the summer. This is definitely one style of shoe you are going to need in your wardrobe this summer. How do you guys feel about mules? I linked a ton for you guys below! Loving the total combo babe. 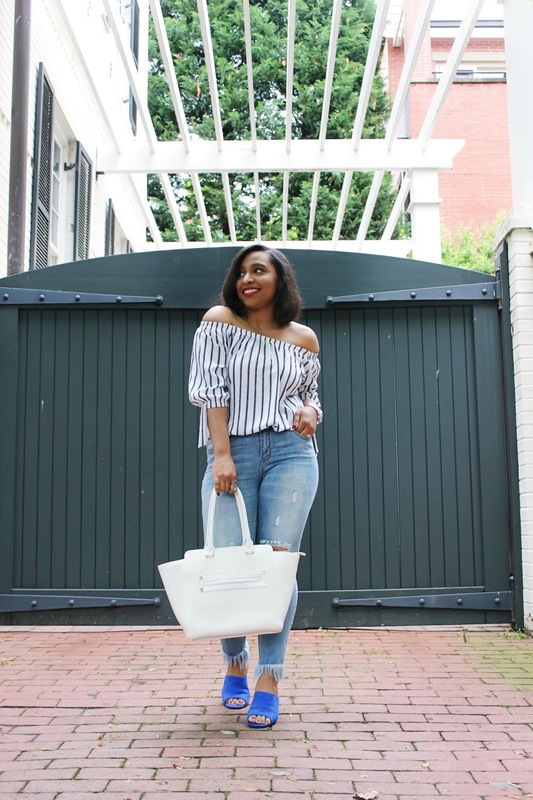 The jeans, the off shoulder top and course the shoes! 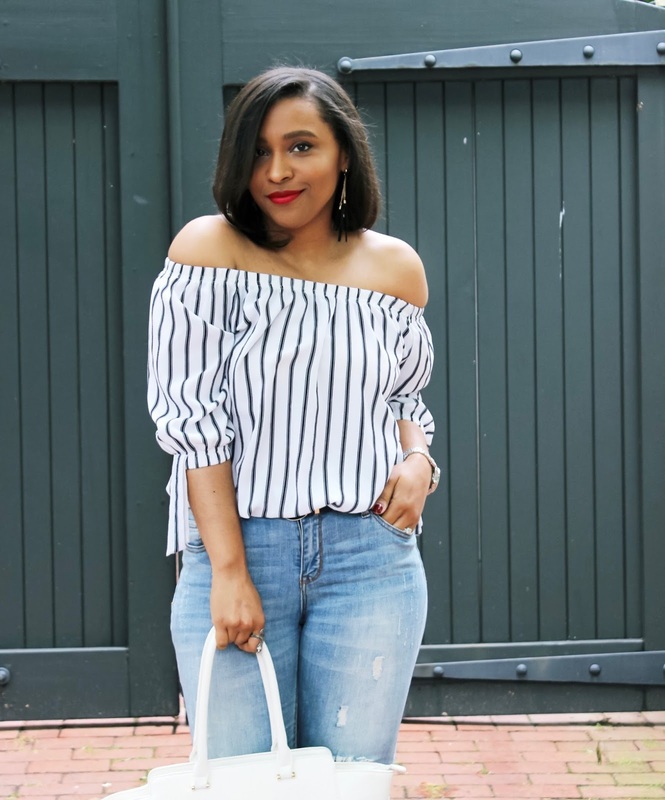 Very nice outfit and I really love it.The jeans, the off shoulder top and course the shoes all awesome.The outfit is perfect fit for you.I want to you shoes that looks so good.Thank you for the great blog and it is awesome to come across in each blog.